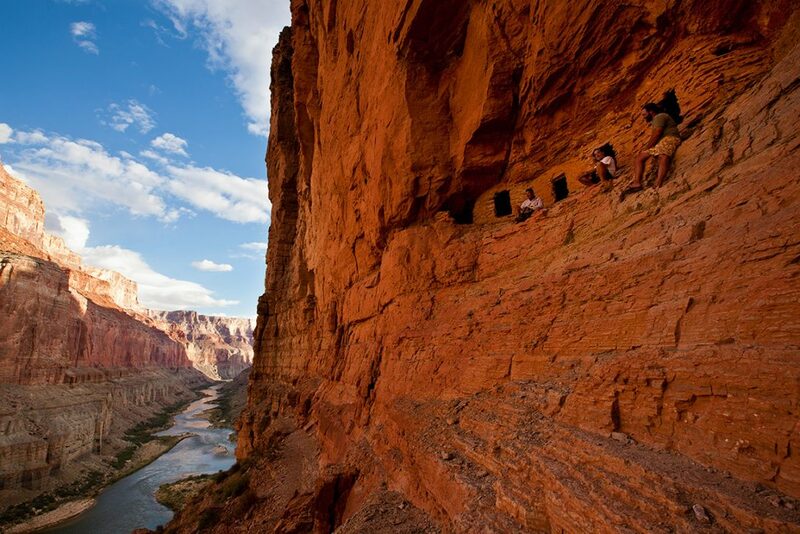 The sweeping vista from the Nankoweap Granaries is one of the most dramatic views in the Grand Canyon. It’s also one of the hardest to get to. Descending more than 6,000 feet over 14 miles, it’s considered one of the most difficult hikes within the park. 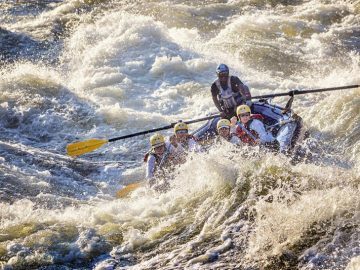 However, located at mile 53 along the Colorado River, the short but steep hike to the granaries from river-level is just one of the many perks of a Grand Canyon rafting trip. 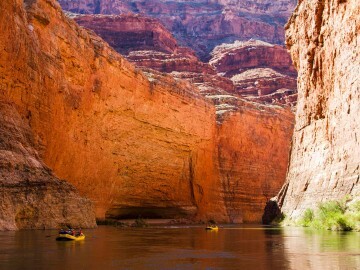 No matter how you get there, as you stand on a ledge carved into redwall limestone 500-feet above the river, you’ll surely feel a sense of wonder. 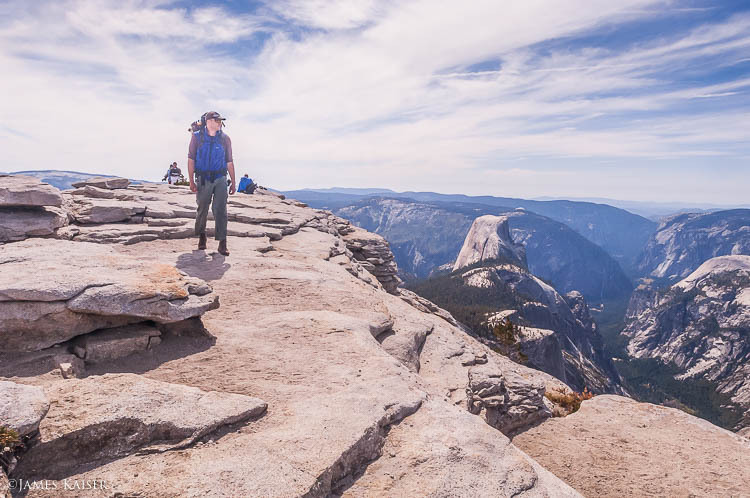 Climbing Half Dome may be the obvious choice for snagging incredible views of Yosemite National Park, but Clouds Rest is where to head for a much more intimate experience. After a 7.25-mile, 1,776-foot one-way climb from the Sunrise Lakes trailhead at the west end of Tenaya Lake, hikers are rewarded with spectacular 360-degree panoramic views of the Sierra Nevada and Yosemite, including Half Dome up-close-and-personal—minus the tough-to-get permit and scary cables. 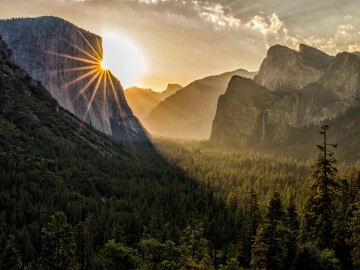 Here, at an elevation of 9,926-feet, you’ll feel like you’re standing on top of the world. 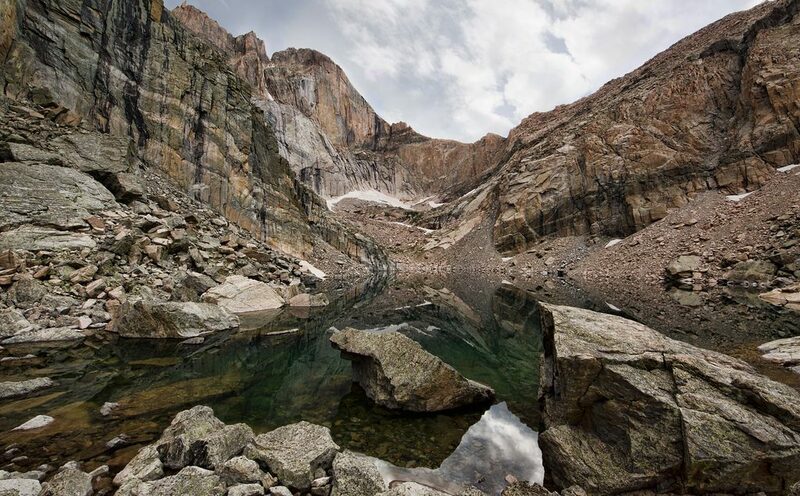 If you have summit fever, there’s no better cure than 14,259-foot Longs Peak. As the highest peak in Rocky Mountain National Park, its lofty view lords a huge panorama over the glaciated terrain of the region. Best to go late summer after the snow fields have cleared, the 16-mile round-trip trek is strenuous, exposed, and potentially dangerous, but that’s what makes the summit all the more rewarding. Alaska does glaciers much better than the Lower 48 and the Harding Ice Field is one of the most impressive glacier sites anywhere. 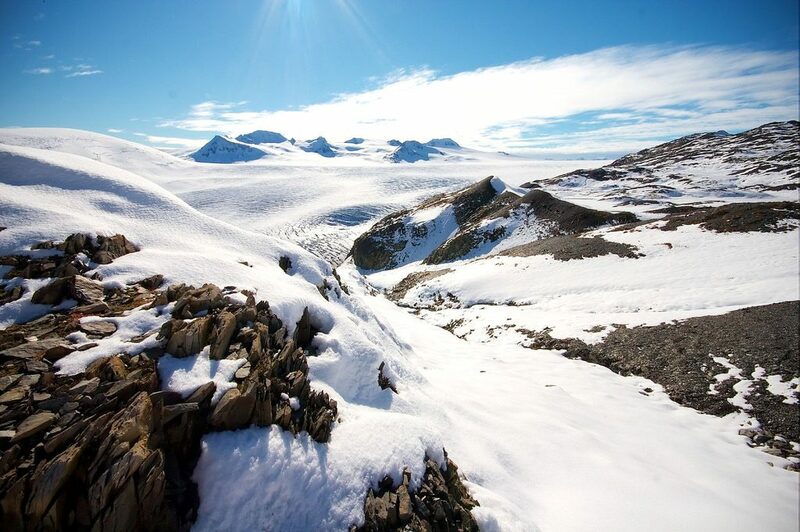 This massive ice sheet is home to some 35 named glaciers and provides a “window into past ice ages.” Tackle the strenuous 8.4-mile Harding Icefield Trail which winds up impressive Exit Glacier before continuing to ascend through alder forest, past scenic meadows, and ultimately, well above the treeline for sweeping views of the 700-square-mile ice field. 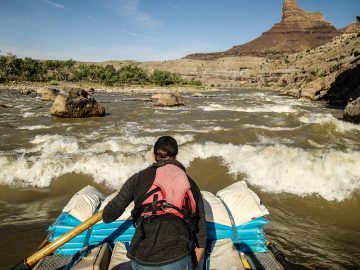 To get incredible access to one of the most remote corners of Canyonlands National Park—the Maze District—you could venture out on a 5+ hour drive (in a high clearance vehicle), or you could raft the Colorado River through Cataract Canyon. 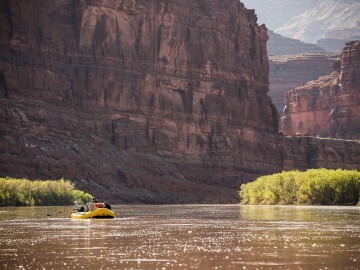 From Spanish Bottom on the Colorado River, a steep 1,300-foot ascent will take you to the playful rock formations that make up the Doll House, along with awe-inspiring panoramic views of the endless spires and mysterious canyons that make up the Needles and Island in the Sky Districts of Canyonlands. 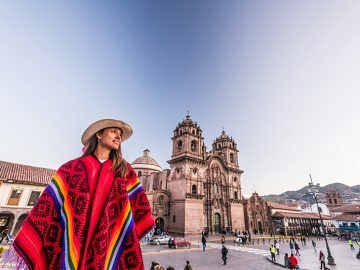 You can see the summit of Mt. 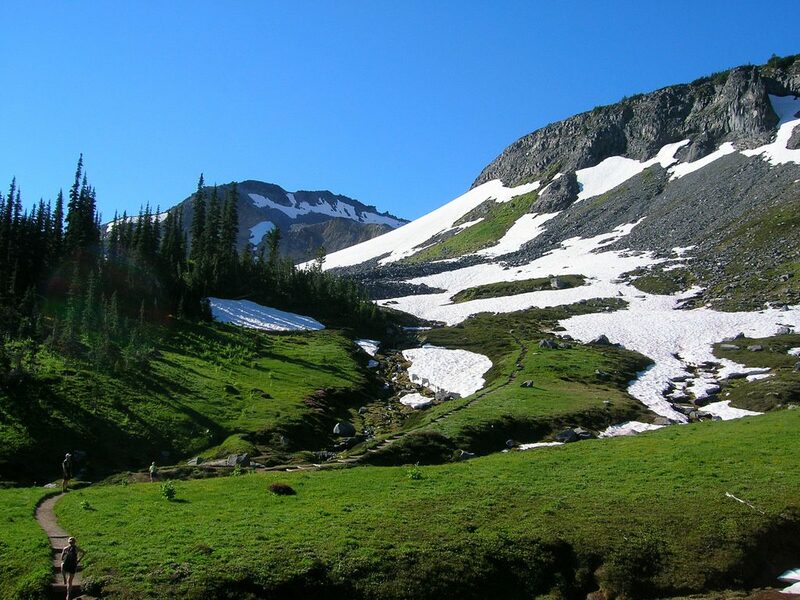 Rainier on every license plate in Washington State, but there’s no better view of the peak than the 93-mile Wonderland Trail that circumnavigates the mountain. 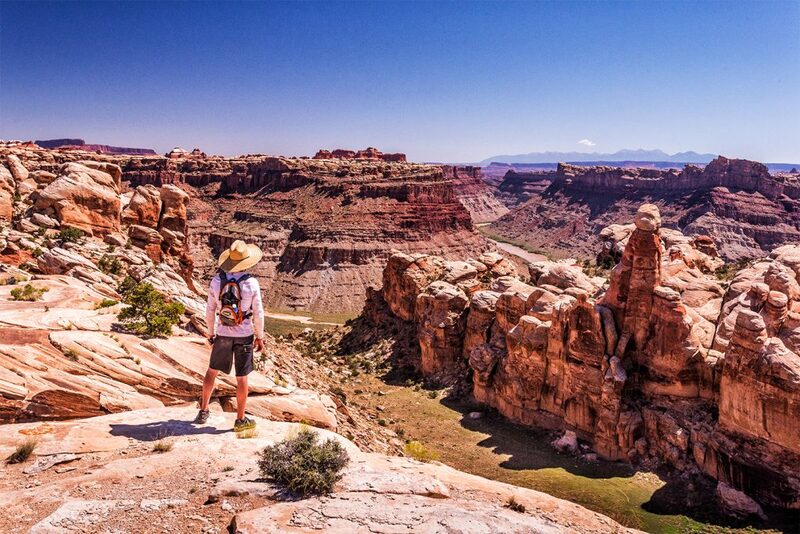 It’s great to do a multi-day trip, but if you want to bite off a day-hike, try the 9-mile Fryingpan to Indian Bar section. It’s like a Rainier greatest hits album that rocks waterfalls, alpine flowers, high views, and glaciers galore. 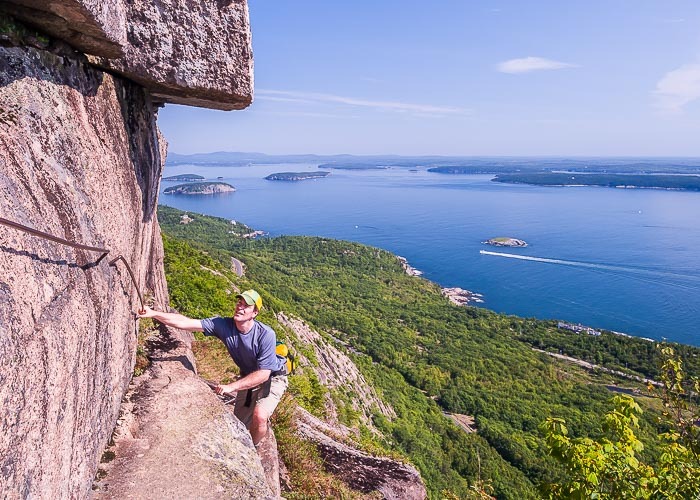 While it’s not a particularly long trek to the summit of Champlain Mountain in Acadia National Park, the 2.6 mile round trip Precipice Hike, with its nearly 1-mile, 1,000-foot vertical climb to the top, is thrilling to say the least. Iron hand holds, narrow rock ledges and ladder climbs aside, the magnificent coastal views of Maine from this vantage point can’t be beat. 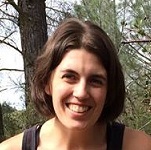 There’s only one hitch, the trail is closed during prime summer months, typically March 15 – August 15 (sometimes earlier), to protect nesting Peregrine Falcons. 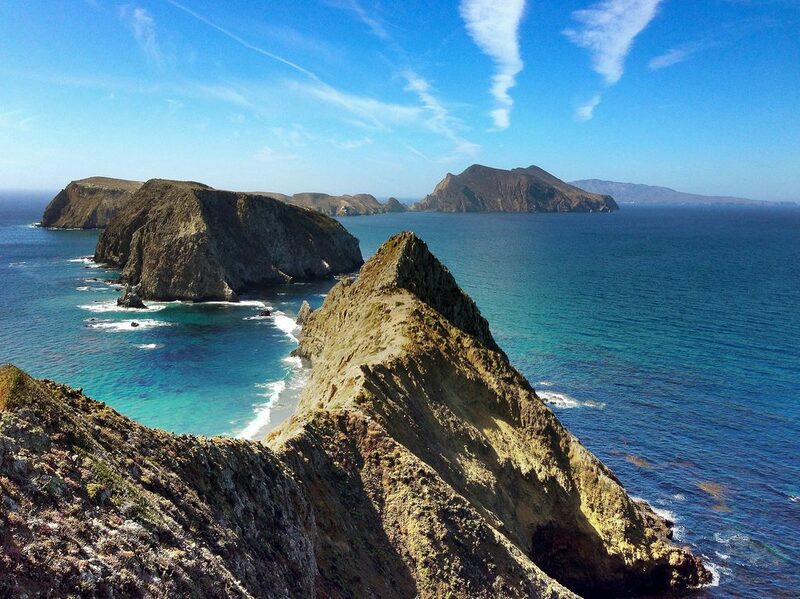 Even though Channel Islands National Park offers up post-card worthy views in every direction, it’s one spot in particular that makes the hour-long boat ride to “the Galapagos of the North” so worth it—Inspiration Point. Located on tiny East Anacapa Island, Inspiration Point is not only the iconic view of the park, it’s arguably one of the best sights in California. From the visitor center at Landing Cove, follow the trail 1.5 miles across the island and be rewarded with dramatic views of ocean waves crashing around the chain of rocky islands that make up this unique archipelago just off the shore of Southern California. Photos: Nankoweap – Monty Pollack; Longs Peak – Steve Bratman (Flickr); Harding Ice Field – Sujohn Das (Flickr); Mount Rainier – Bruce H. (Flickr); Inspiration Point – James Chang; All other national park photos courtesy of James Kaiser.